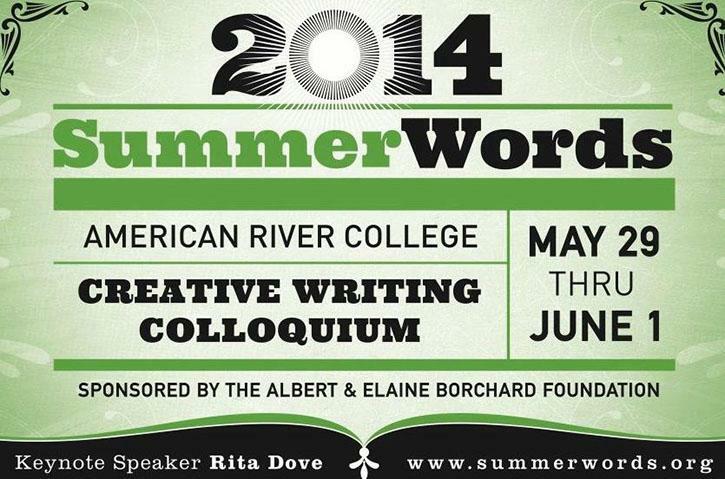 An anonymous person identifying himself or herself as a possible ARC student threatened to commit suicide on the American River Confessions Facebook page around 5 p.m. on Tuesday. 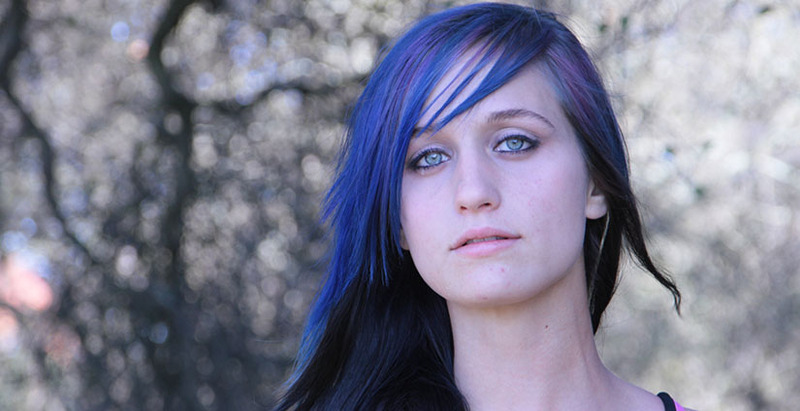 Numerous commenters, including the page’s administrator, attempted to dissuade the poster from self-harm, offering themselves as someone to talk to, and even referring the poster to the National Suicide Prevention Lifeline at 1-(800)-273-8255. In an interview on March 14 with ARC’s communications and public information officer Scott Crow, he said there are obstacles the school faces when dealing with the college confession pages. “There are limitations to what (ARC) can do because of the nature of social media … the AR Confessions page has been around for a long time, what we do is we monitor it on occasional basis,” Crow said. Crow said that he believes that taking down the pages may bring more attention to them. There are several confession Facebook pages for ARC, but the American River Confessions is the most popular and active one with more than 1,400 likes. “That’s the nature of Facebook, anyone can create a page with a college name in it … some colleges have tried to take these pages down and then they often will pop up in another location,” Crow said. It is unclear if the post represents a legitimate threat of self-harm. If anyone believes they know this person, please contact them to ensure their safety. The Current will update this story when more information becomes available. 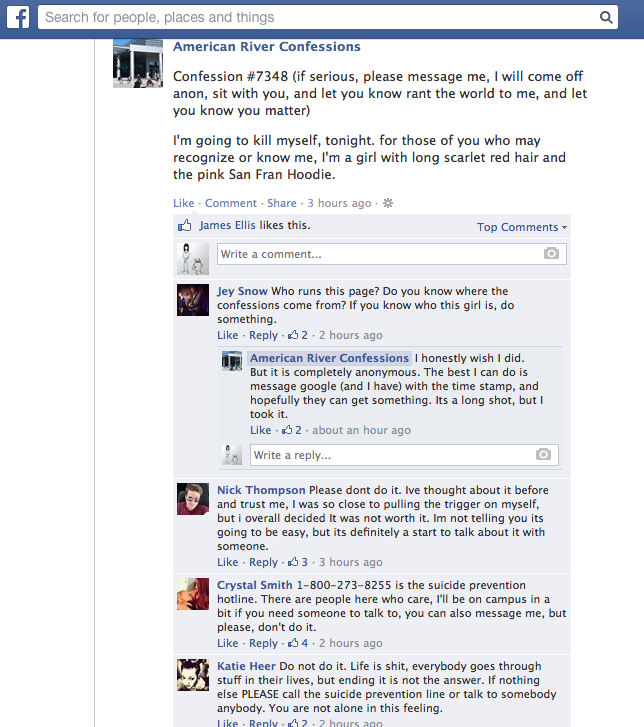 Be the first to comment on "Post on American River Confessions Facebook page threatens suicide"